Click on images for closer views! For many years, I've collected regular sized owl figures. When I started making miniatures I started collecting miniature owls. 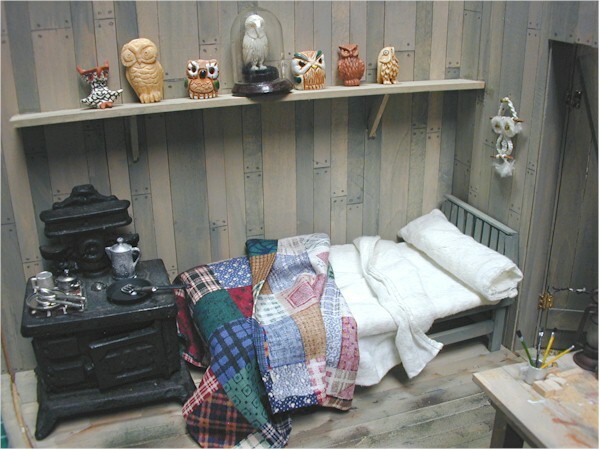 The owls in this scene are by no means all that I have. 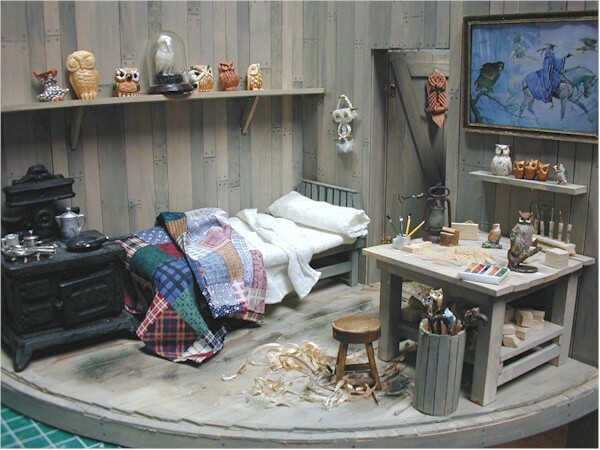 Owls turn up in many of my miniature scenes. However, I wanted some place to display them and didn't want to just "put them on shelves." I was given the "Owl Man" by my good friend Nancy Faye Roach. He was originally called the Railroad Man by Marcia Backstrom. 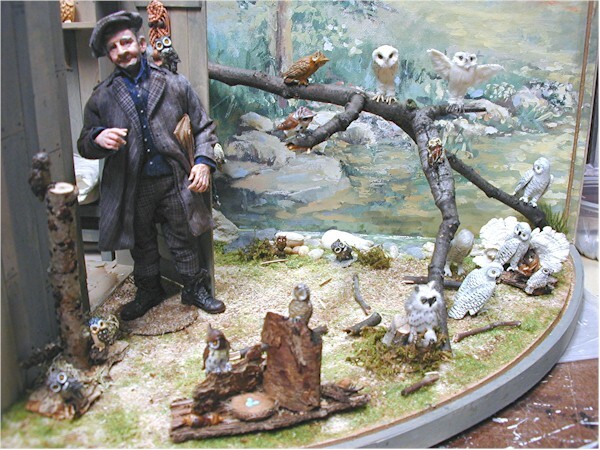 For me, he became the Owl Carver who lives in the woods and carves, sculpts and paints owls. 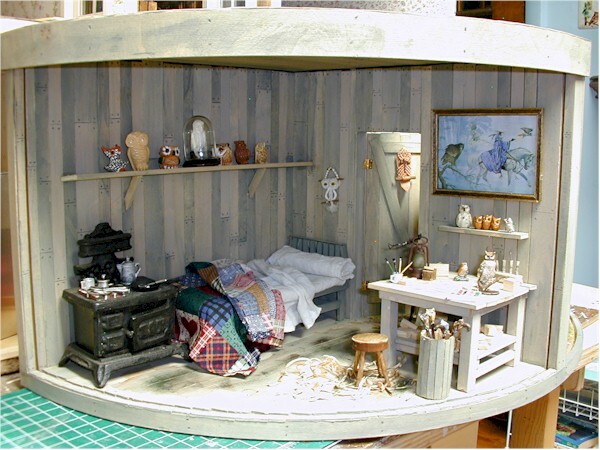 You see him here with his rustic shack and all the owls that flock to him to be replicated in the various artistic methods he chooses. 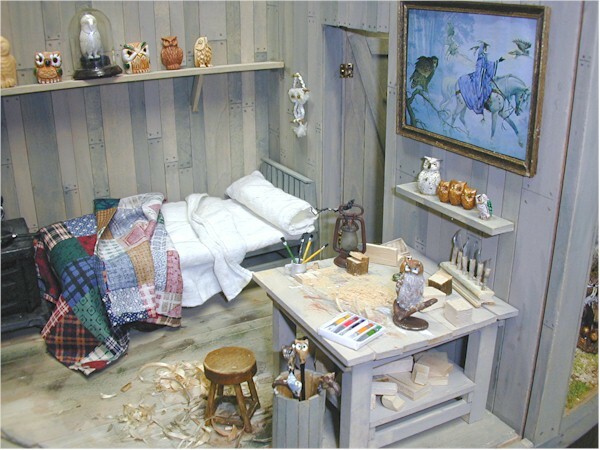 This scene was made with two corner room boxes fastened together. One side has a roof, or top, the other is covered with clear polycarbonate to keep the dust out but to give an open look. 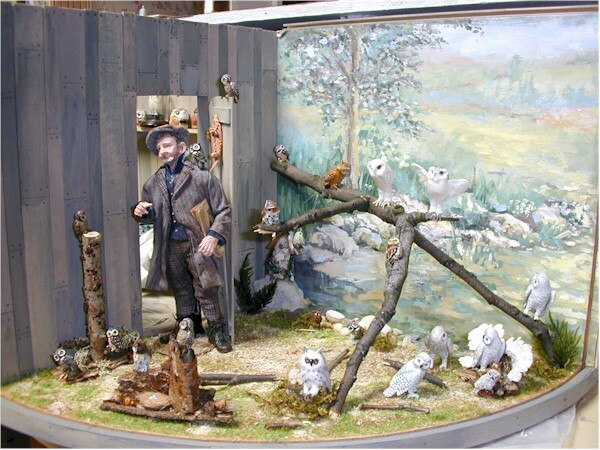 Some of the owls in this scene were made by Julie Stevens, Diane Burger, Elaine Kothe, Judy Shields, Peggy Slack, Alice McElheiny, Cheri Stewart, Karen Markle, Anne Willis, & Gloria. Some owls there was no way to determine who created or painted them. 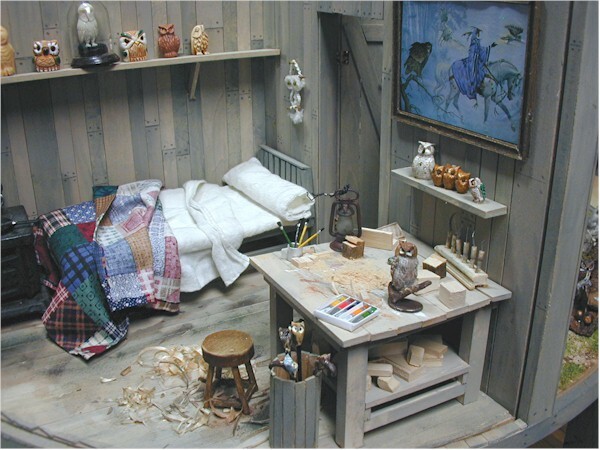 Grace Shaw, made and dressed the messy bed, and made and created the work bench. The picture on the wall was from a photograph, framed by Grace Shaw. I tried to bring the pond from the nature wall paper down into the scene. 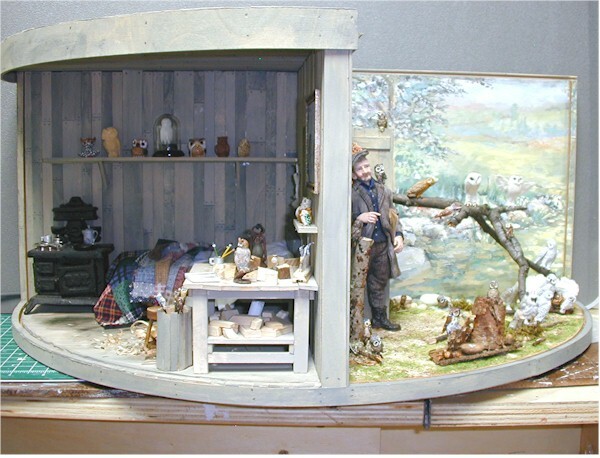 Various small items were made by Metal Miniatures and painted by Grace Shaw.